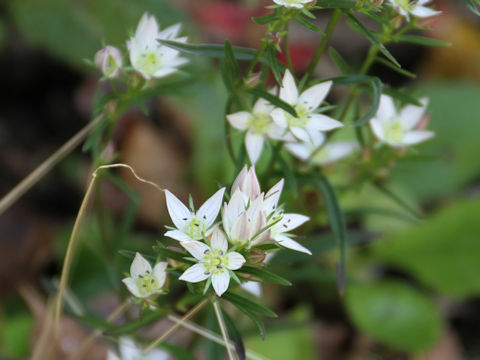 "Senburi" (Swertia japonica) belongs to the Gentianaceae (the Gentian family). 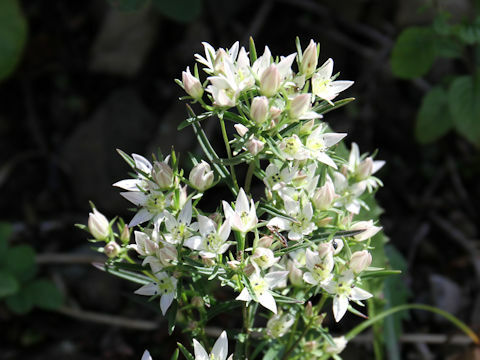 It is a biennial herb that is native to whole of Japan, as well as the Korean Peninsula and China. 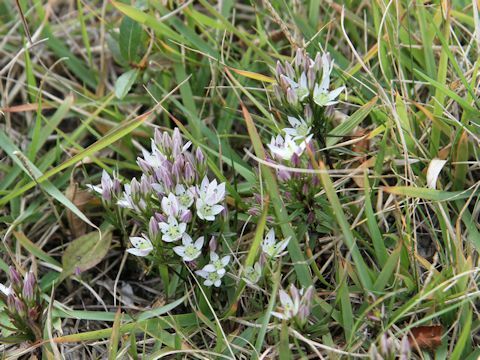 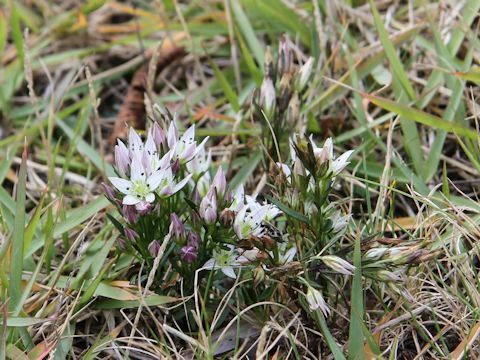 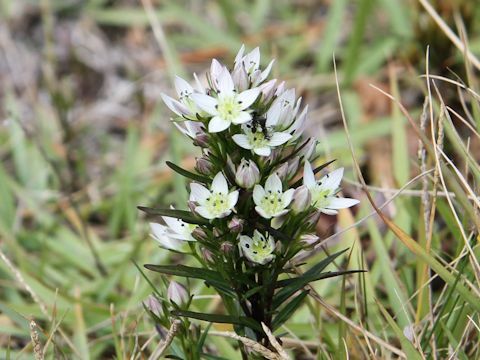 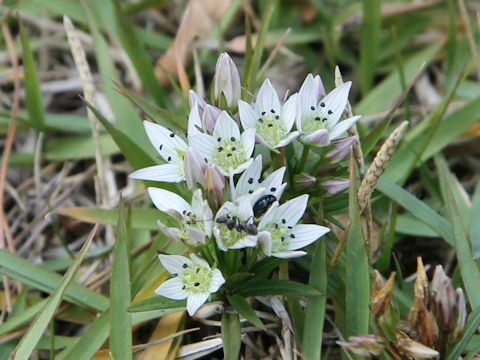 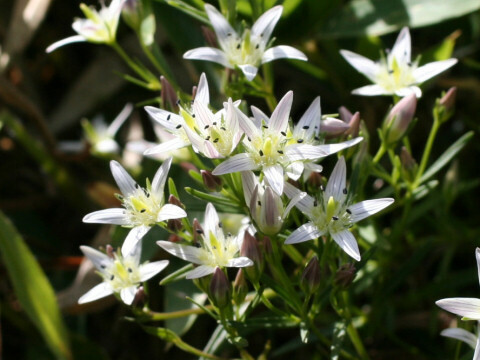 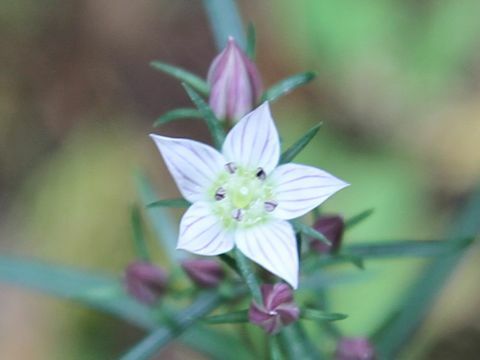 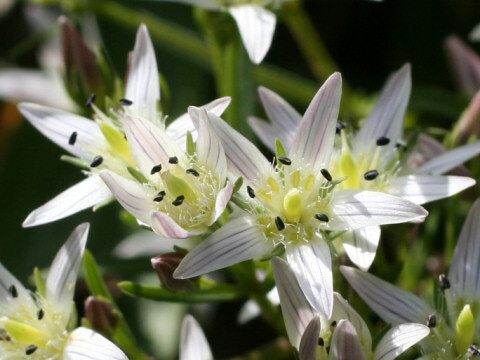 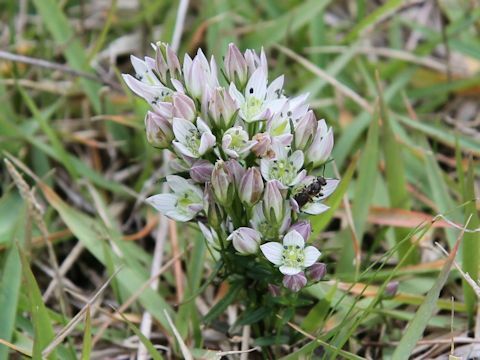 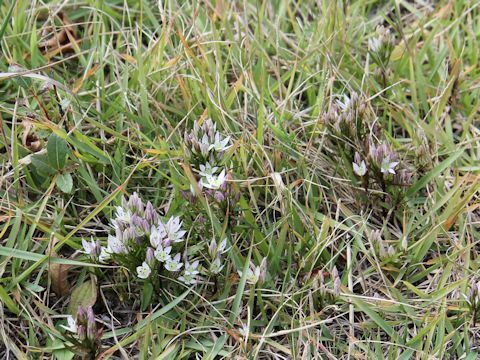 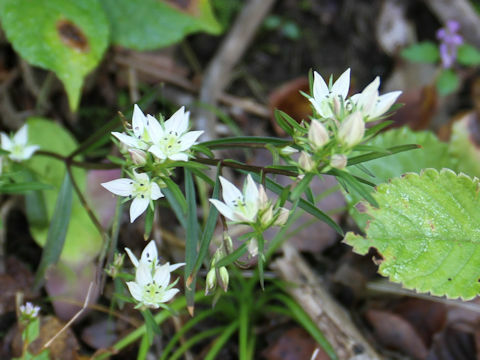 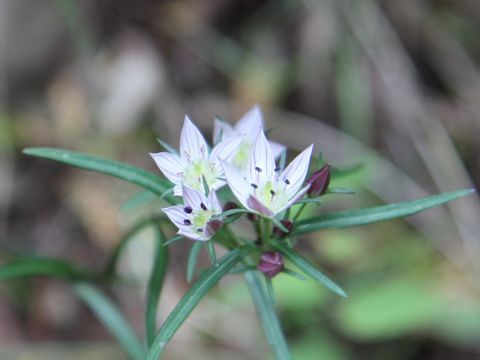 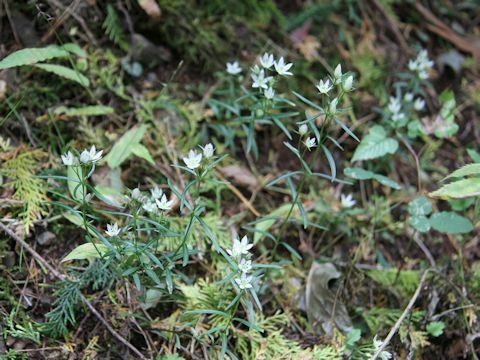 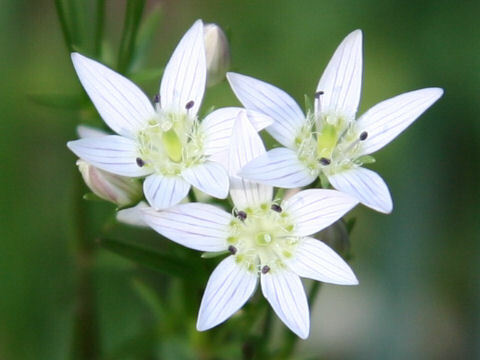 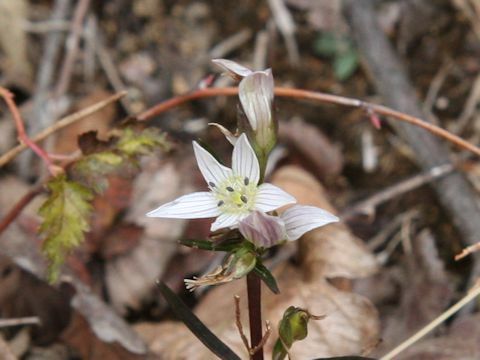 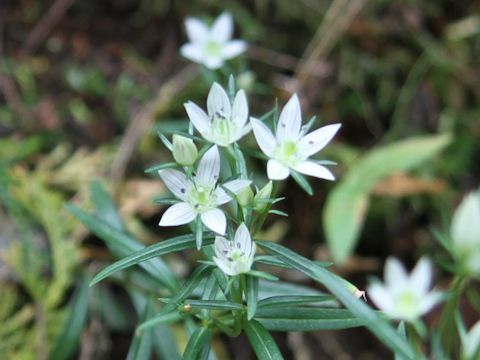 This herb grows in sunny grasslands and thin forests, and it can reach 20-25 cm in height. 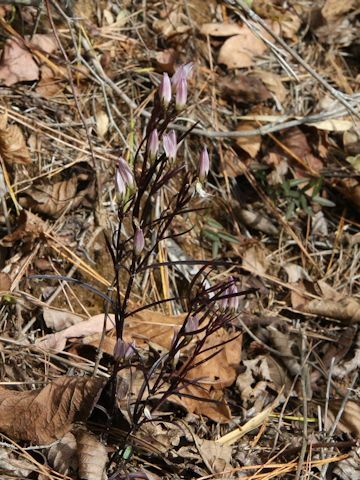 The stems are dark purple tinged and upright. 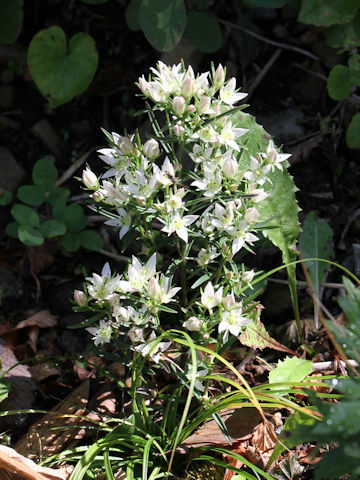 The leaves are narrow lanceolate and arranged in opposite. 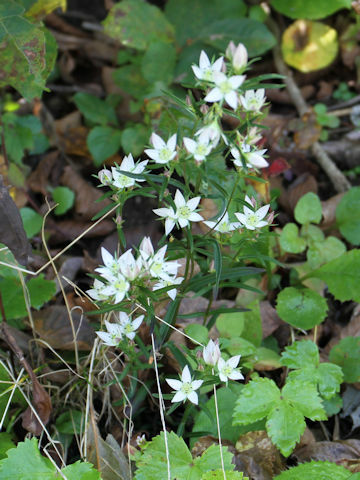 The panicles are borne on the top of stems, and the white flowers bloom from September to November. 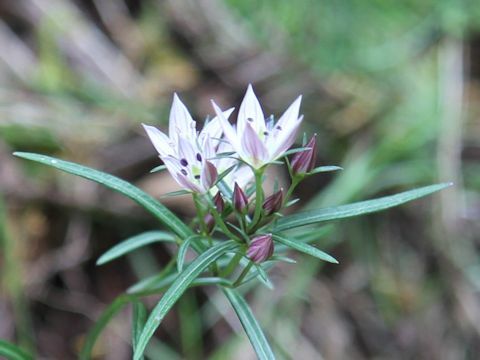 The petals are purple-streaked. 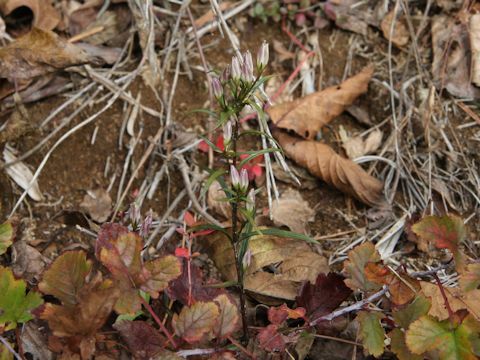 The dried plants are called "Toyaku" and used as a treat stomach or intestinal remedy.